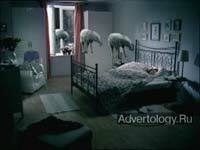 The idea of ​​the campaign - "With IKEA bedroom you will not have to count sheep to fall asleep." 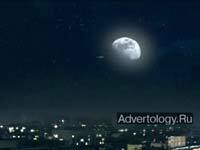 Campaign can observe the inhabitants of Moscow, St. Petersburg, Kazan, Yekaterinburg and Nizhny Novgorod. 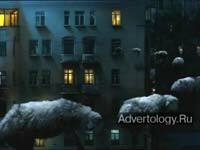 "We had to make people think about how they sleep, that sleep quality depends on what they are asleep - says art director of an advertising agency Instinct Daniel Ostrovsky. 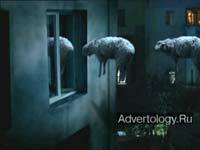 The basis of creativity lay down common way to get to sleep - counting sheep. 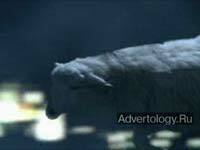 So Born main idea of ​​the campaign - if you have a bedroom IKEA, then counting sheep is no longer needed. " 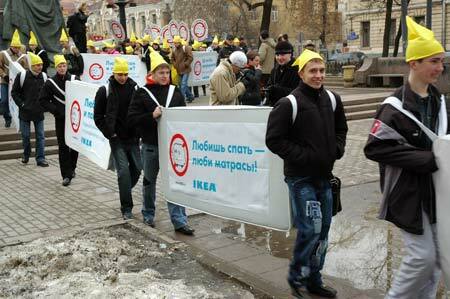 11 of March in all cities except St. Petersburg, where the event took place in March 17 agency The Creative Factory Parade was held IKEA mattress. The parade took place on the main street. Sheep left out in the cold after people stopped counting them, also took part in the parade. They allegedly set up a clandestine organization "sheep anti mattresses", which activists two weeks before the parade hacked IKEA website dedicated to products for sleep. Also as part of the campaign 3 and 4 March last similar actions in shopping malls MEGA.